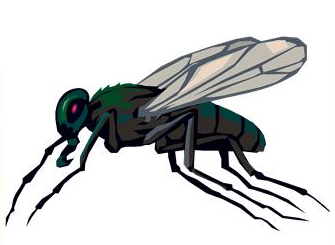 Other Food: daily devos: Are there dead flies in your life? In this day of the internet, when anyone can post on blogs, forums, chat-rooms, and twitter, can comment on news features, editorials, blogs, and columns, Solomon's advice to avoid words of folly is more apropos than ever. It is advice especially applicable to people of faith. The world, rightly or wrongly, holds people who call themselves Christians to a high standard. I believe we are justified in holding each other to a level of consistency. How disappointing would it be if you discovered your pastor, whose teaching nourishes you on Sundays, was in the habit of disparaging his parishioners on a pastor's forum, and sometimes forwarded off-colour jokes? How much better to be known as a person whose speech (in every venue: blog posts, e-news comments, forums, chats, Facebook) and life, is characterized by grace. And on her tongue is the law of kindness" - Proverbs 31:26 (said of the virtuous wife by King Lemuel). PRAYER: Dear God, please show me the dead flies in my life — the places where my stated beliefs and words / actions don't line up. Amen.